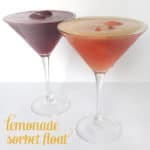 Excited to welcome back Meghan from Cake ‘n Knife with a cocktail recipe today! Hi there! I am so excited to be back at Feast + West today! You may remember me from my Denver travel guide (my oh-so amazing hometown). 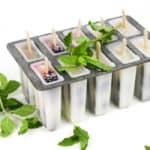 I am all about creating uncomplicated gourmet recipes that are intended to be straightforward and simple, but will wow the pants off anyone you serve them to. I am even more excited to be back at Feast + West because this time I am bringing you a present for the happiest of hours… Cocktail Hour! Since the month of April is all about gin here, I had to go with a classic cocktail that I dolled up just in time for spring. I love a good Ramos gin fizz once warmer weather rolls around. 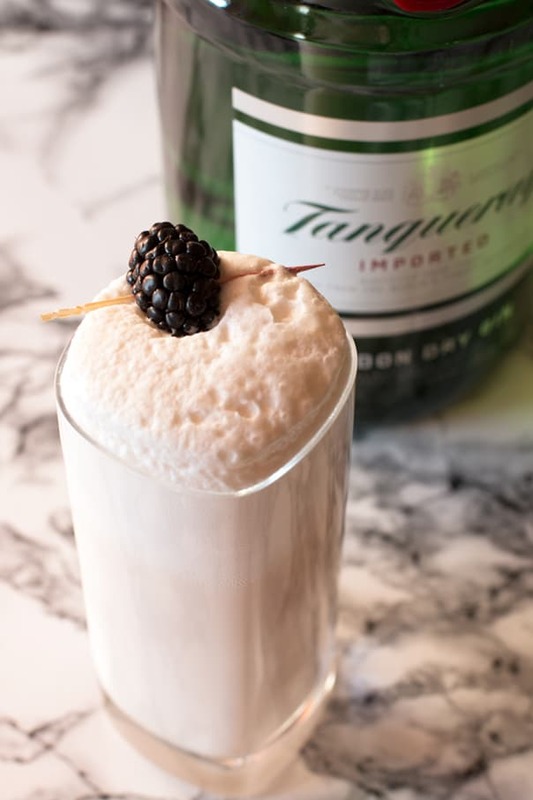 It’s light and refreshing, like a classic gin fizz, but a Ramos gin fizz features the frothy topping that comes from a good strong shaking of the cocktail. One of my favorite things to do is watch the foam slowly rise up on my cocktail, just begging me to take the first sip. Gin happens to be my liquor of choice, so of course this blackberry Ramos gin fizz is my new obsession. 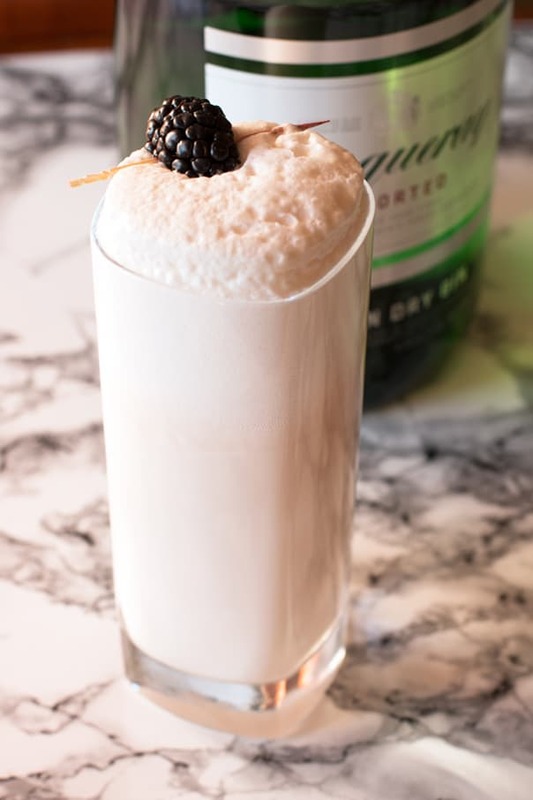 It has everything I love — gin, blackberry, cream, and a history that started way back in 1888 in New Orleans. I’ll tell you now, if you need to know anything about me, know that I am a sucker for a classic cocktail. When you sip on this, you’ll be transported to a porch in Louisiana, rocking away the long, hot afternoons in a lazy rocking chair. Cheers! 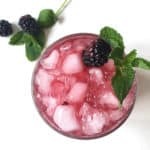 Click below to see Meghan’s Blackberry Ramos Gin Fizz recipe! 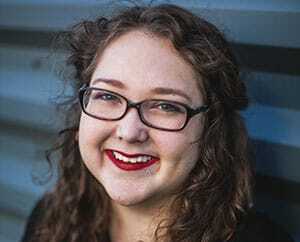 Meghan is a food addict turned writer, recipe developer and food photographer based in Denver, Colorado. Her recipes have been featured on sites such as BuzzFeed and Honest Cooking. Her blog, Cake ‘n Knife, is dedicated to uncomplicated gourmet recipes that will make you look like a star chef without spending hours in the kitchen. Besides her life revolving around food and her blog, she spends nights cuddling with an adorable, crazy puppy and a husband who puts up with both of their antics for some terribly strange reason. 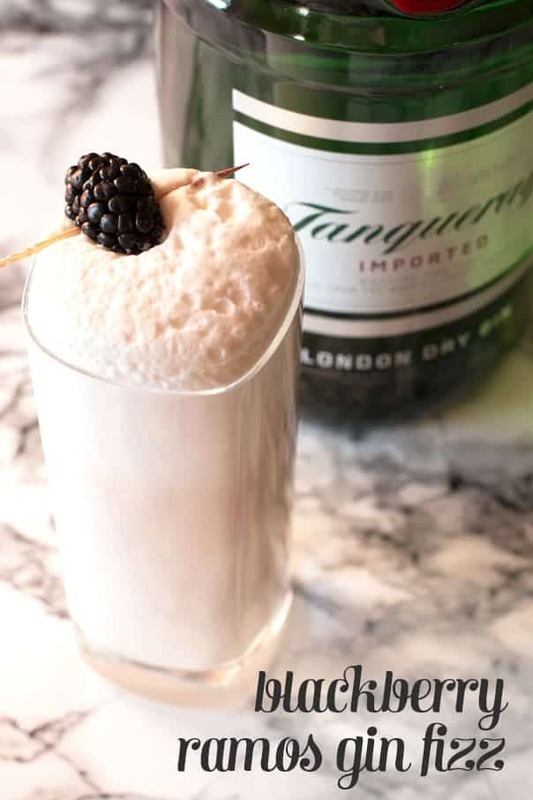 Combine gin, lemon juice, blackberry brandy, egg white, heavy cream, and granulated sugar in an empty cocktail shaker. Shake vigorously for 15 seconds (make sure the top to the shaker is on nice and tight!). Fill the shaker halfway with ice, add the top back on, and shake again for about 10 seconds. Pour into a highball glass and fill with club soda, stopping just short of the top of the glass. Wait for the foam to rise before serving. 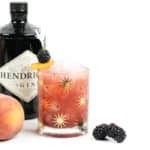 Garnish with a fresh blackberry.